IT personnel today spend a lot of time on repetitive tasks to accomplish various jobs. Windows PowerShell, however, provides a powerful language that can be used to write and execute scripts, which can eliminate and/or automate many necessary, yet repetitive tasks. Although Windows PowerShell has been in the mainstream IT pro space for about 10 years now, there are still some IT professionals that still have never written a single script or simply rely on the Command Prompt. PowerShell is much more advanced in terms of features, capabilities, and inner workings when compared to the legacy Command Prompt. In fact, almost every under-the-hood module of Windows can be exposed by PowerShell, thus making it a useful tool for IT professionals, system administrators, and power users. One of the best aspects of Windows PowerShell is its all-encompassing presence across the IT infrastructure. Windows PowerShell has its hooks in so many different technologies that learning and embracing it gives IT pros the freedom to take those skills and apply them in numerous areas including the provisioning, orchestration and management of infrastructure and applications in public and hybrid cloud environments. 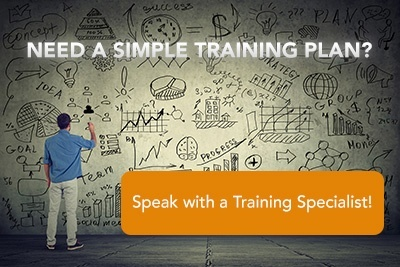 Discover how National Business Training can help you achieve PowerShell certification with a Training Solutions Plan today! This course provides students with the fundamental knowledge and skills to use Windows PowerShell 4.0 for administering and automating administration of Windows based servers. This course is built on Windows Server 2012 R2 and Windows 8.1 and while it is specifically focussed on Windows PowerShell v4.0, is also relevant in v2.0 and v3.0 Windows PowerShell environments. This five-day instructor-led course is intended for IT Professionals who have a working knowledge of Windows PowerShell 3.0 techniques and technologies, and who want to build reusable tools by using Windows PowerShell 3.0. This course focuses on the Windows PowerShell scripting language, and on the concepts and techniques needed to produce reusable, professional tools. Gain the skills needed to use PowerShell to administer SharePoint Servers. Learn how to manage day-to-day tasks carried out by SharePoint Administrators. This course is designed to get you up and running with Desired State Configuration (DSC).